It’s one thing for a college kid to throw away their future. In all seriousness, they are 18-20 year old kids who made a stupid mistake. However, it is another thing entirely for a professional athlete who makes millions of dollars to throw it away because of weed, alcohol, or their temper. How about we start with Josh Gordon (WR, CLE)? – Josh Gordon: Failed Drug test in June. Arrested for a DWI in July (0.9 BAC). Commissioner Roger Goodell gave Josh Gordon a year ban from NFL. Today, reports are that Gordon has checked himself into a rehab facility. Goodell has not decided Hardy’s fate as of yet. Today, Goodell suspended Rice for only two games. How could we forget Indianapolis Colts owner Jim Irsay? No sanction yet from Goodell. I didn’t know marijuana outweighed millions of dollars. I never met a blunt that was worth 4yr/$10M. It is a tragedy what these athletes are doing to women. I don’t know if steroids, alcohol, or some other drug is involved, but it is not an excuse. There are numerous domestic abuse and sexual assault cases in the news of late (high school, college, and professional). A friend pointed out to me this morning, imagine how many more go unreported? 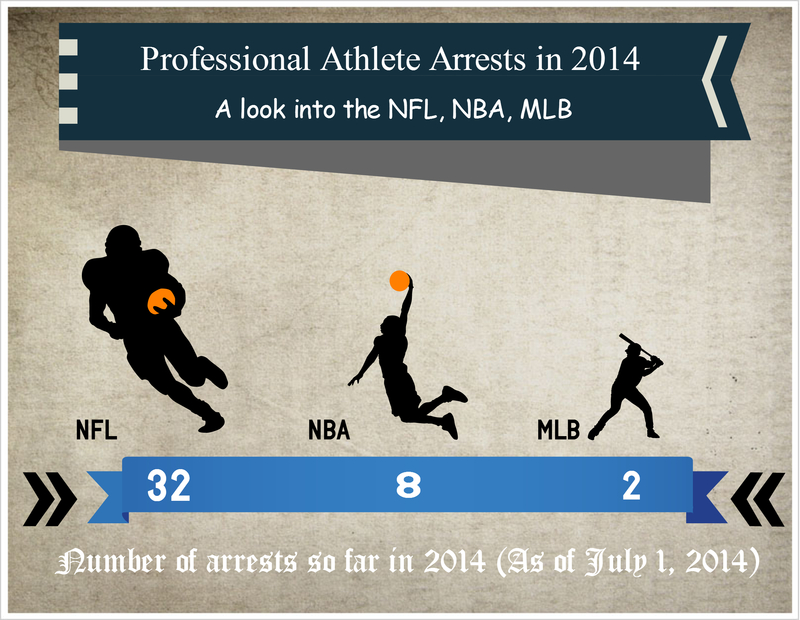 I’m not shocked that the NFL has more arrests than the NBA and MLB. I’m shocked at the low number for both leagues. The two leagues combined are less than a 1/3rd of the total arrests in the NFL. I look at the commissioners of each league. Players like Roddy White, Ryan Clark, among others have been very vocal about the dictatorship that is the NFL. In other leagues, where a group, committee, or even a series of advisers to the commissioner levy the punishment, it’s just Goodell. He has rushed to quick, severe punishment on multiple occasions without fair investigating. I’m usually pro-players in every situation, but even I am at my limit. These players are given a gift and an opportunity that the rest of us can only dream of. You have to hold them accountable. Why are you driving under the influence of alcohol? Couldn’t you just hire a driver or call a taxi? Why can’t you control your liquor? Why are you going to night clubs every weekend when you should be studying your playbook? Better question, why are you fighting strangers in a night club when you’re the one with everything to lose? The punishments for players are not on the same scale. 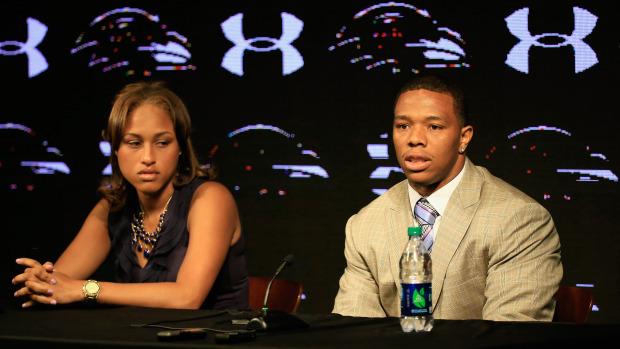 Ray Rice struck his wife. Then, he proceeded to carry her unconscious body out the elevator through the hallway. Yet, Goodell only suspended him for two games. This sends the message that Goodell cares more about his strict drug policy than harming a woman. He cares more about you harming his product (the athlete) than someone else.